ZESTRON agents for solvent cleaning are modern systems formulated on the basis of modified alcohols. Compared with simple alcohols such as IPA or acetone, cleaning results are superior. They have a significantly higher bath load capacity minimizing cleaning cost, and a much higher flash point greatly improving safety of use with automated cleaning applications. 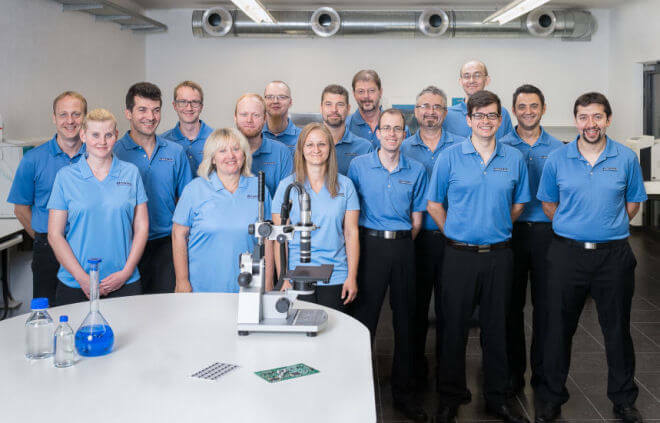 The ZESTRON product group is ideal for flux removal from electronic assemblies, ceramic hybrids, power modules and leadframes. Also, the cleaning agents are suitable for the removal of solder pastes and SMT adhesives from stencils and screens. ZESTRON solvents can be used in either water free or semi-aqueous cleaning processes and are easily dried, even with complex board geometries. They are free of halogenated compounds (such as 141b or Trichloroethylene) and therefore environmentally friendly.